ST JOHN’S, Antigua, CMC – The search will be on for young fast bowlers when the Regional four-day season bowls off later this month. 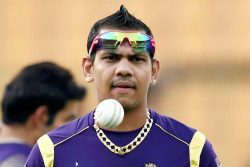 “Finding a few consistent batsmen is important, but what is also key for us is to unearth some young fast bowlers, so that we can add to the pool that we currently have, especially players that can clock in the high 80 to 90 mph range,” Browne said. 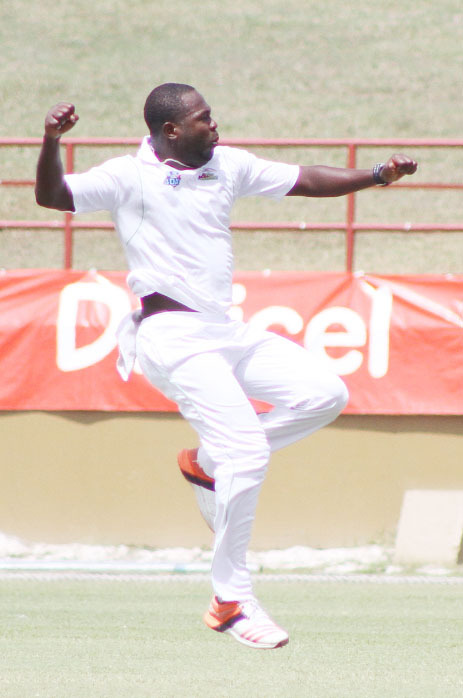 Fast bowler Keon Joseph … snatched 24 wickets last season. Spinners have dominated the first class tournament in recent years, with pacers increasingly being pushed into the background as support bowlers. 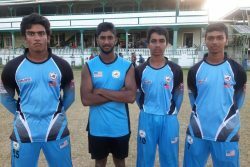 Last season, left-arm spinner Nikita Miller topped the wickets tally with 58 scalps, with leg-spinner Imran Khan ending with 44 and left-arm spinner Veerasammy Permaul and off-spinner Rahkeem Cornwall both taking 41. 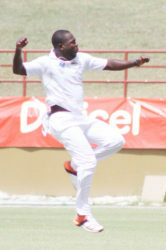 Left-arm seamer Raymon Reifer was the most successful of the fast bowler with 36 wickets while medium pacer Kyle Mayers claimed 27 and Delorn Johnson and Keon Joseph, 24 apiece. Browne said it was important all players pressed a case for selection with strong performances, especially with England Lions touring the Caribbean next year for three four-day “Tests” and one-dayers. “This upcoming regional season is key for players. There is an upcoming tour to the Caribbean by the England Lions early next year and such a high-profile “A” Team tour has not happened in a number of years,” Browne explained. The first round of the first class season bowls off October 26 with three-time defending champions Guyana Jaguars hosting Jamaica Scorpions, Barbados Pride clashing with arch-rivals Trinidad and Tobago Red Force at Kensington Oval and Windward Islands Volcanoes and Leeward Islands Hurricanes doing battle at the National Cricket Stadium in Grenada.